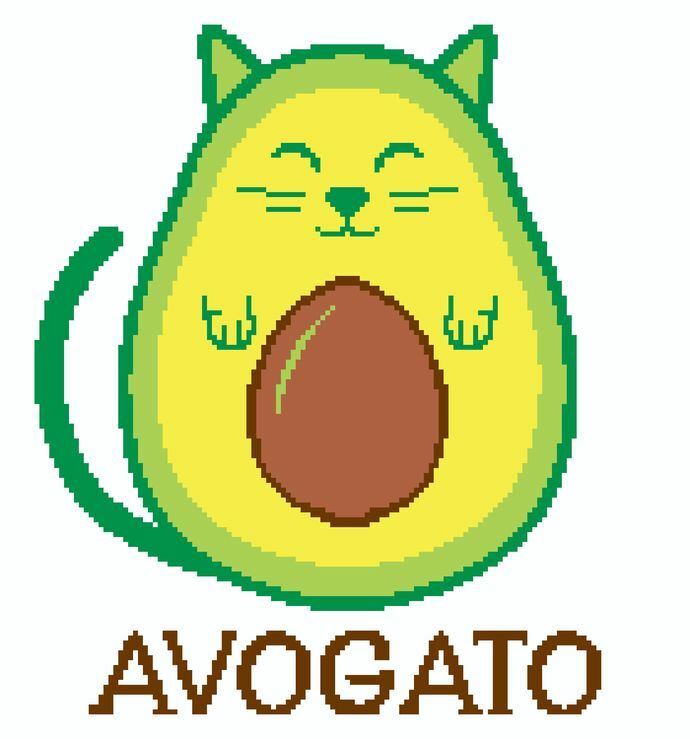 A little play on words and you have the Avogato! A cute gift for anyone who loves cats or avocados! 140 x 150 crochet graph. PERSONALIZATION: The word AVOGATO can be replaced with the recipient's name or other wording in block lettering. Please contact us for regarding personalization and pricing. We can also change the color coding for you at the same time if you would like to request different colors to be used. COLOR CHOICES: Looking for a different color combination? Contact me before purchasing this pattern and I will create and post a new version of the complete pattern for you.